The first community project, The Trouble With Troglodytes, is complete. While I take my time compiling, editing, and making a pretty, downloadable version for your reading pleasure, here is something else to keep you busy. In The Trouble With Troglodytes, the PCs learn that Breygataya's disappearance is a MacGuffin--she isn't in the dungeon at all. So where is she? According to The Book of Unpleasant Truth, she might be in the clutches of a green dragon over the next hill. So. . .
You guys fill this thing out, and I'll compile it into a PDF when it's done. Note: I reserve the right to edit entries. Magic is Magical. And Magical Things Are Dangerous. I just read this blog post by fantasy author N.K. Jemisin: But, but, but — WHY does magic have to make sense? In it, she makes several excellent points about how RPGs have impacted fantasy fiction because they have trained us to think of magic in terms of systems, and that systems of magic take away the one thing that makes magic special: it's unpredictability. While she is specifically dealing with fiction where magic just "is", this criticism got me thinking how we can mirror unpredictability in a game by dismantling some of the systems around it. But because this is a game, we still need a system of some sort--just one that results in wide unpredictability. 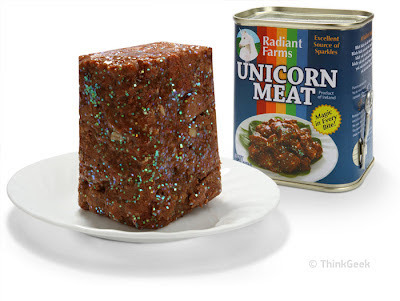 No foolin' - Unicorn meat is real!Excellent source of sparkles! Unicorns, as we all know, frolic all over the world, pooping rainbows and marshmallows wherever they go. What you don't know is that when unicorns reach the end of their lifespan, they are drawn to County Meath, Ireland. The Sisters at Radiant Farms have dedicated their lives to nursing these elegant creatures through their final days. Taking a cue from the Kobe beef industry, they massage each unicorn's coat with Guinness daily and fatten them on a diet comprised entirely of candy corn. 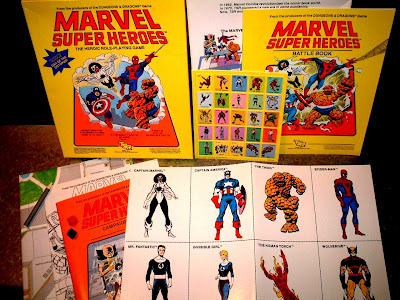 You might even be familar with ClassicMarvelForever.com, where you can download most, if not all, of the official MSHRPG materials in PDF format. If you haven't heard of this site before, go check it out. Seriously--it is worth your time. Spider-Man's Guide to New York: Here, you can download a 109-page fan-made compendium of Spider-Man's world. Very cool. 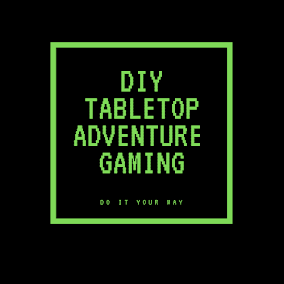 Gaming Nerds R Us - MSHRPG Downloads Section: A fantastic resource of material--including adventures extracted from Dungeon and Polyhedron! 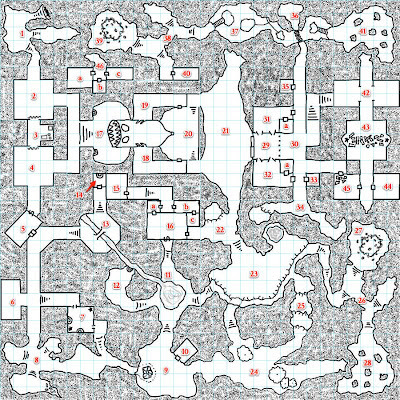 Richard over at Save Vs. Dragon (he of the most excellent d30 DM Companion) is hosting a new community project with a twist: The Community Geomoprh Project. I'm not that great of a map creator, but I'm going to come up with something--and you should, too! Head on over to his blog and check out the details! The Community Project is done! Mostly by Marc Pavone. But still, it is done! In the coming days, I'll turn it into a PDF for easy download. NOTE on 2014-01-25: This project has been canceled. See this post. 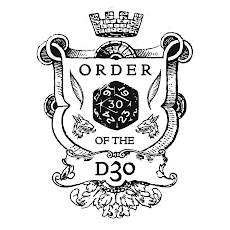 For the past two years, this blog has served as my small foothold in the OSR gaming community. I like to think I've done an admirable job of sharing with the community—the zine list and downloads page hopefully attest to that. The Community Project Is Almost Done! Since Marc Pavone has been hitting the comment button, The Trouble With Trogdolytes is almost complete! This has almost turned into a one-man show, folks. Marc is really flexing his creative muscles and creating some extremely interesting encounters--many of which tie back to stuff the other contributors have written, too. Rooms 6, 12, 12b, 15, and 17 are all that are left. If you want to help out, it looks like this might be your final chance. Come on over and finish this sucker! Oh, and stand by for a big announcement tomorrow. Yeah, that's a teaser. You'll just have to wait for it. 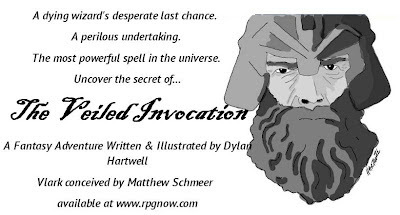 Hartwell's The Veiled Invocation Has Been Released! I just downloaded my copy from RPGNow.com. Go get yours today! Marc Pavone has been hitting the comment button pretty heavily over on the Community Project: The Trouble With Trogdolytes. He's filled in nearly half the dungeon on his own. Why not head over and see what he's added? While you're there, leave a room of your own! David Lawson over at Weekend Wizardry just finished up his second annual week of posting a variety of magical containers under the heading "Hitting the Bottle Week". The trolls at YDIS have done me great service! Thanks for the free advertising, suckers! You know the old saying: any publicity is good publicity! And here's another sentence that ends in an exclamation point!